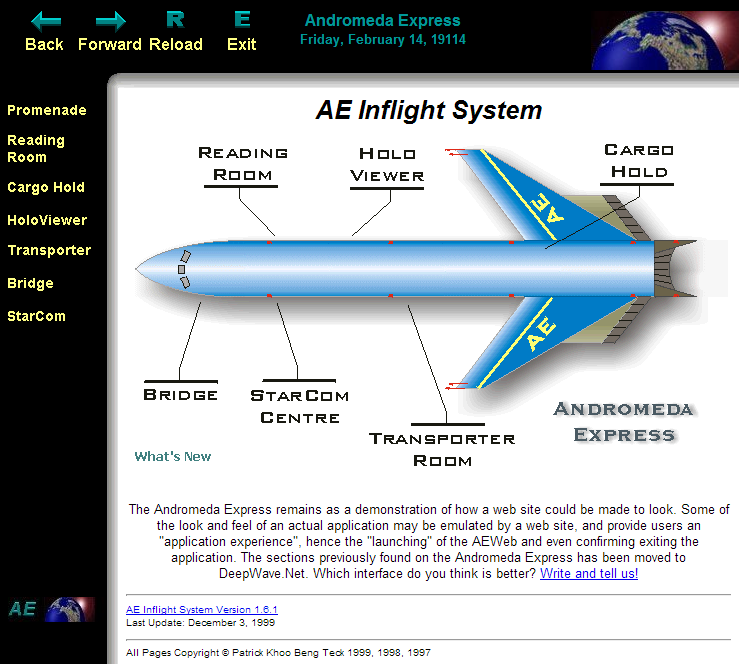 In 1997, the entire site was re-released as the Andromeda Express and was well supported in Netscape 4.x. In July 1998, the Andromeda express was re-released as version 2.1 at its new home at DeepWave.Net. Eventually, with a Perl-based site management tool called the Web Pre-Processor, DeepWave.Net was re-released yet again as version 3.0 in December 1999, with some significant changes in the design of its user interface. 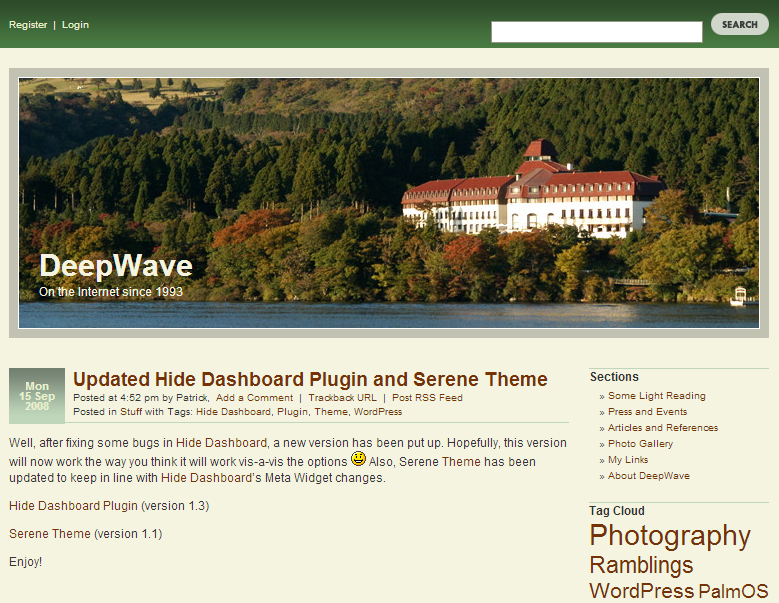 At the end of 2006, a long overdue makeover for DeepWave.Net brought it to version 4.1. This involved a complete switch to using an excellent Blogging/CMS tool called WordPress, using my own Serene Theme and custom Hide Dashboard plugin. Finally, in 2014, after a long hiatus with no updates since 2008, DeepWave.Net has finally been updated with a new back-end and modern look, bringing it at long last to version 5.0.